Chad Ennis, a registered patent attorney, focuses his practice on intellectual property. He litigates before federal district courts, the Trademark Trial and Appeal Board and the Federal Circuit. Chad, who primarily litigates disputes related to patents, also has experience litigating trade secret, trade dress, trademark and copyright claims. 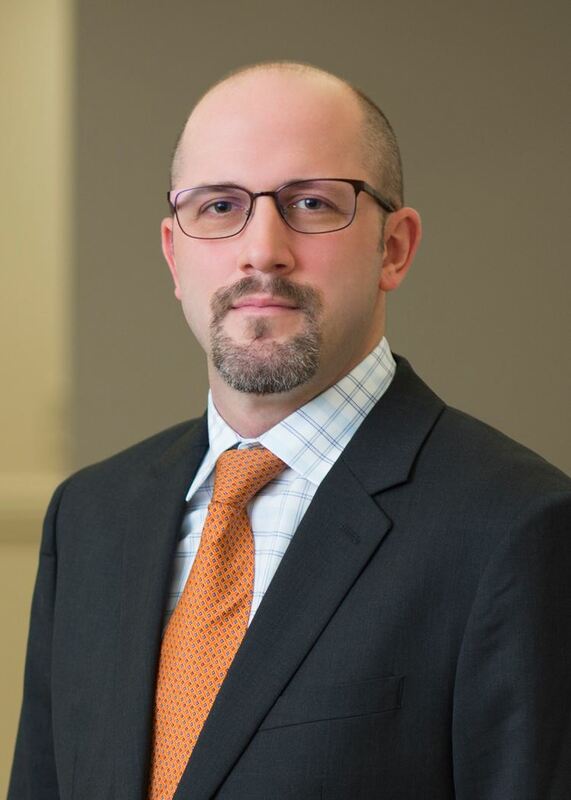 His litigation experience includes jury trials, arbitration panels, agency reviews and appeals, Markman and summary judgment proceedings, fact and expert discovery, and mediation and settlement negotiations. In addition, Chad helps clients to secure patents, copyrights, and trademarks before the United Stated Patent and Trademark Office (USPTO) and the Copyright Office (USCO). Chad represents clients in the technology sector, as well as those involved in energy, chemistry, wireless communication, computer software and hardware, computer process manufacturing, wind turbine generators,pharmaceuticals, graphics processing, retail and consumer goods. After law school, Chad was selected to the Attorney General's Honors Program with the United States Department of Justice and assigned to the United States Attorney's Office for the Middle District of Louisiana as an Assistant United States Attorney. Prior to law school, Chad worked as an engineer in the oil industry and managed production for more than 300 natural gas wells in south Texas.